At the outset there is a curious fact in the relationship between the two subjects. 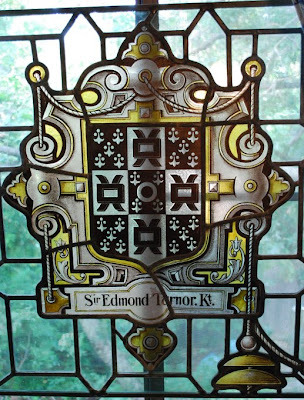 While students of Heraldry do take to Genealogy and acquire a considerable knowledge of it, those who begin as genealogists seldom if ever take any interest in Heraldry. This is most unfortunate because the two subjects are necessarily connected. There’s an awful lot of substance bound up in that little quote. Heraldry enthusiasts are very aware of how completely intertwined with genealogy the field of heraldry is. 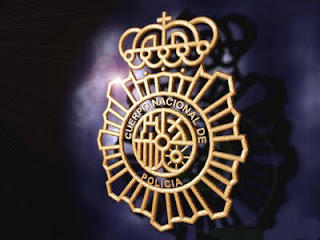 But trying to convince genealogists that heraldry can be useful to them as another tool (indeed, I like to say that "heraldry is the genealogist’s most colorful tool") in their researches can be difficult at best. It’s not so much that you can’t convince them of the truth of it once you present it to them; the difficulty lies in even getting a hearing. When I’ve been asked to give a presentation on heraldry to a genealogical society, lineage society, or similar group, I’m often told that "we’ve never had a speaker on this topic." And when I’ve submitted proposals for presentations to several of the national genealogy conferences, "An introduction to heraldry for genealogists" has never, to date, been selected. I have been able, however, to present it to a number of local and regional genealogy societies, where it’s always been well-received. Again, the difficulty doesn’t seem to be in getting them to understand the relationship between heraldry and genealogy, because they often understand it once it’s been presented to them; it’s it getting to present the information to them in the first place that the difficulty lies. I have hopes that this situation will change. I do keep trying, sending out proposals for presentations to some of the national genealogy conferences, and continuing to give presentations to regional and local genealogy groups and lineage societies about this field of heraldry that can be another tool that genealogists may use in their search for family roots. A Latin maxim that means “there is no disputing about tastes”. The underlying meaning is that opinions about matters of taste are objectively neither right nor wrong, and that disagreements about matters of taste cannot be resolved. It is the same with heraldry. I wrote a paper several years ago entitled “New Directions in Heraldry” (a copy of which may be found on-line at http://www.baronage.co.uk/2002d/appleton.pdf and from the link in the left column here at this blog under “Articles I Have Written” at http://www.appletonstudios.com/Congress2002DBA.pdf), the thesis of which was that of all the modern innovations and introductions of new charges, etc. that we see in heraldry today are not a new phenomenon at all, but that the field of heraldry has always added new stuff to its repertoire from its earliest days to now. 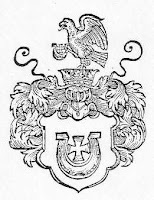 The stimulus for writing the paper was the disputes I would sometimes see between heraldry enthusiasts in one or another of the internet newsgroups, where someone would protest that this or that innovation or the grant of a modern charge (for example, a locomotive) was almost an affront to the purity of the field. Sometimes I would find myself agreeing (to a certain extent) with some of these criticisms, but at other times I would wonder why the use of a modern charge or line of division would cause such emotional upset, since as I saw it, the field had since its beginnings added innovative lines of division and novel charges as new technologies came into being. So sometimes we just have to step back from our personal prejudices and take a look at the bigger picture of heraldry, and realize that change has always been a part of the field. And, too, that de gustibus non est disputandum. Okay, it’s time for Part Three of our three-part series on heraldry in the movies. In this part, we are presenting a few movies in which the heraldry was, for the greatest part very good. Very few movies manage to get it all right, but these come far closer than most. Once again, the movies are listed in no particular order. Fire Over England (1937) starring Laurence Olivier. There was some nice (and appropriate) use of heraldry. The Black Knight (1954) starring Alan Ladd. I know, I know! Especially given the date of its production, it surprised me, too! But the heraldry in this movie is, for the most part, pretty decent. The Sea Hawk (1940) starring Errol Flynn. Heraldry – most of it pretty decent heraldry – abounds. Knights of the Round Table (1953) starring Robert Taylor. The heraldry in general was pretty good. 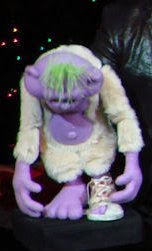 Although Mordred bears a unicorn which was taken right out of one of A.C. Fox-Davies’ books. Luther (2003) starring Joseph Fiennes. There’s some nice accurate use of heraldry. The Three Musketeers (1993) starring Charlie Sheen, Kiefer Sutherland, Oliver Platt, and Chris O’Donnell. The arms of France and Navarre are prominently displayed, and used well. Richard III (1955) starring Laurence Olivier. The heraldry throughout the film is very well done, with its use of arms, standards, badges, and the heraldic cloak. Army of Darkness (1992) starring Bruce Campbell. Color on color heraldry, but some good stuff, too. 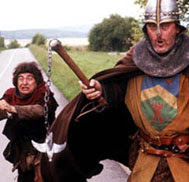 A Knight in Camelot (1998) starring Whoopi Goldberg. On the plus side, the arms for Arthur are consistently displayed, and accurately match one of the three most commonly portrayed versions of Arthur’s attributed arms. On the down side: the German coat of arms on the wall; Sir Boss’ "coat of arms"; Sagramore’s coat of arms with the Norse beast. The Bandit of Sherwood Forest (1946) starring Cornel Wilde. Some of the heraldry wasn't half bad. Robin, the Earl of Huntington, bore Per pale gules and Or, a doubled-headed eagle counterchanged. It may not be heraldry of the period for England, but it’s not bad for all that. Monty Python and the Holy Grail (1975), starring the Monty Python crew. Metal on metal heraldry (e.g, , King Arthur’s surcoat, Argent a sun in his splendor or), and "Brave Sir Robin’s arms with a chicken courant regardant, but some decently done heraldry, too. Doggone it! This is what comes from living on the "Third Coast", down here in Texas, instead of up, say, near New York. I received, as I do periodically, an email announcing yet another presentation of heraldic interest, one that I would love to attend. In New York City. Which is not an easy drive from Dallas. As much as I sometimes wish it were. It turns out that on Tuesday, September 22, the College of Arms Foundation and The NYG&B Society Committee on Heraldry are hosting a presentation entitled "Heraldry in the Movies: the Good, the Bad, the Truly Awful". Which, unless I happen to win the lottery between now and then, I will, alas, not be attending. So, anyway, having discussed some good and some bad movie heraldry here before (back in March 2009, with Kenneth Branagh’s Henry V and The Knight’s Tale for the good, The Black Shield of Falworth and The Adventures of Robin Hood with Errol Flynn for the bad), the announcement of this presentation in New York next month has inspired me to look through my collection of movie reviews* to see what other movies I’ve seen that had either particularly good or especially bad heraldry (and some which had a mix of both good and bad). And I thought I’d give you a kind of "short list" of these, with brief comments about why the heraldry in them is good, bad, or a mix of both. In this post, we’ll cover some of the "less good" ones. Next time, those with good and bad heraldry. And in the third part, those with good heraldry. Francis of Assisi (1961) starring Bradford Dillman. Heavy-duty gaudy heraldry (a checky bend, for instance, in bright colors). Prince Valiant (1954) starring Robert Wagner. Pastel colored heraldry. Purple on lilac. A red charge on a black charge on a green field (or, color on color on color!). But you gotta love that pageboy haircut! Robin Hood: Men in Tights (1993) starring Cary Elwes. Prince John's men wear the quarterly arms of Castile and Leon (in Plantagenet England?? 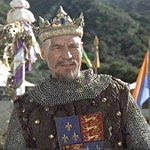 ), and even King Richard bears Quarterly France and England, while the movie supposedly takes place before Richard's personal arms became the arms of England. Ever After (1998) starring Drew Barrymore. Color on color heraldry. Captain from Castile (1947) starring Tyrone Power. 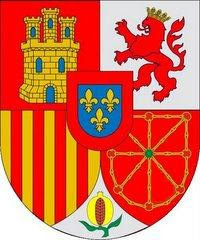 Quarterly gules and sable, a bordure counterchanged sable and Or was not Iberian heraldry. 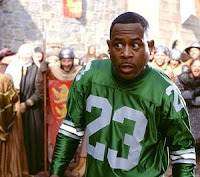 Black Knight (2001) starring Martin Lawrence. Most of the heraldry on the banners is wrong. England, but the lions are not facing properly. The Dauphin of France, but in the wrong colors. The flag of modern Hungary. Lancelot: Guardian of Time (1997) starring Marc (The Beastmaster) Singer. The title alone should give you and idea of how bad the heraldry is. I found the image interesting because I think it helps to support a point I have made in this blog before (click on the keyword "logos" to see earlier posts): that it is unnecessary for civic bodies and corporations to discard their "outdated" coat of arms to adopt a more "modern" or "relevant" logo to use as their visual identifier. It’s modern, it’s up to date, and yet it is just a simplified rendition of the national coat of arms. No need to hire someone to design an alternate modern logo. Just redraw the arms in a less traditional style, and there you go! Someone pointed out a pretty cool site for heraldry the other day. The name of the site is Videojug, which leaves me a little cold, but they didn’t ask me before naming it. Of interest to people like us, though, are several short (the longest is 10:00 minutes) videos explaining different aspects of heraldry. 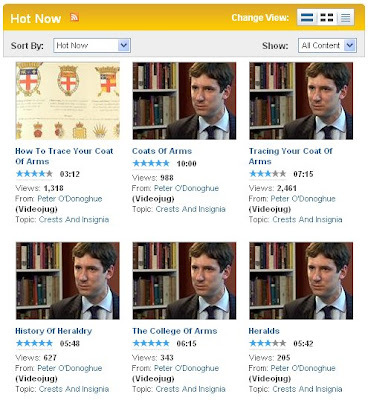 There are seven of these short videos: six by Peter O’Donoghue, Blue Mantle Pursuivant at the College of Arms and one by genealogist Dr. Nick Barratt. There is a lengthy list lower down on the page that gives all of the sub-topics covered in each video. Each video can be downloaded (you have to sign up with Videojug to be allowed to do this), and is available in a text version which can be displayed and read or printed out. Le garde de l'armorial de l'Autorité héraldique du Canada a le plaisir d'annoncer que les pages 101 à 200 du volume V du Registre public des armoiries, drapeaux et insignes du Canada sont maintenant accessibles en ligne. These grants cover the period from January 15, 2007 through February 15, 2008.